John Bubenheim Bayard was born at Bohemia Manor on the Maryland eastern shore. After settling in Philadelphia as a young man in 1756, he became a prominent merchant and politician. Although Bayard opposed extreme measures and a premature break with Britain, he was actively involved in the Revolution from the beginning. A member of the Sons of Liberty in 1766 and the Provincial Convention in 1774, Bayard presided over many meetings considering the new Pennsylvania constitution. He would be elected several times to the General Assembly, serving as speaker from 1777-1780 and 1784-1785. 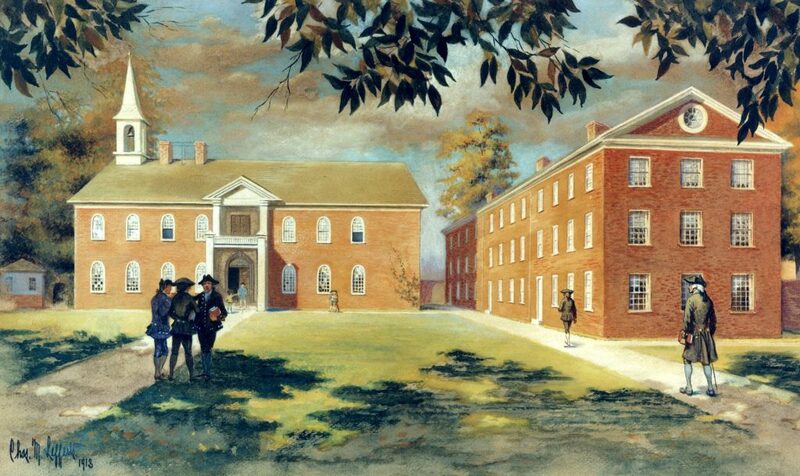 A major of the second battalion of Philadelphia gentlemen “Associators,” Bayard’s military involvement included service at the Battle of Princeton. Later in the war, he and other members of the Council of Safety visited Washington at Valley Forge; he also served for a year on Pennsylvania’s Supreme Executive Council. After the Revolutionary War, Bayard became influential as a Federalist, living in Philadelphia and then New Brunswick. In 1788, he was elected to the Continental Congress from Pennsylvania. Bayard held civil and political positions in New Jersey as well, and also worked for Princeton College and as Whitefield’s friend in the Presbyterian church. As speaker of the Pennsylvania General Assembly from 1779 to 1780, Bayard became an ex officio trustee of the University of the State of Pennsylvania (now the University of Pennsylvania). In 1785 he resumed service as a trustee, this time elected by the Board of Trustees. One of his grandsons, John Bayard, graduated from Penn in 1815.